Centred on Baggot and Leeson Streets, and girdled by the Grand Canal, it is the unmapped village of writers, artists and ne’er-do-wells which in the 1950’s became known as “Baggotonia”. “PRODIGALS AND GENIUSES. 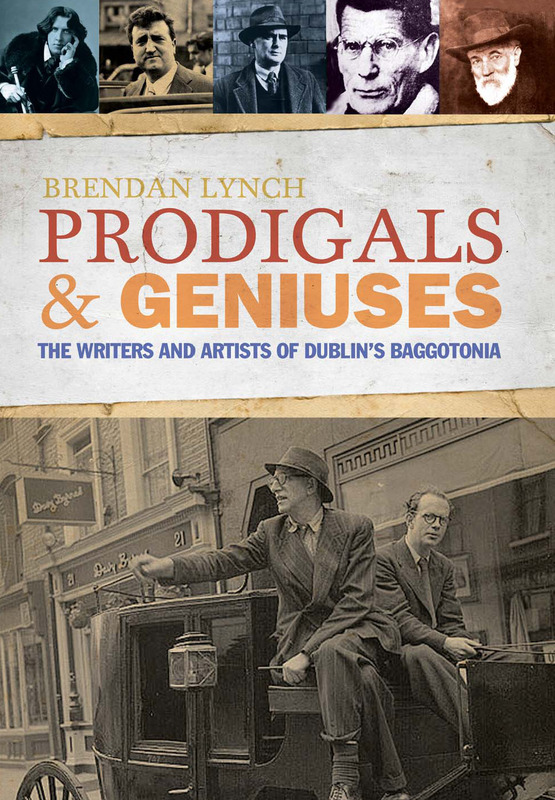 The Writers and Artists of Dublin’s Baggotonia” is Brendan Lynch’s latest book (Liffey Press, 2011). London has Fitzrovia, Paris its Left Bank. But Georgian Dublin boasts an equally atmospheric Bohemian quarter. Its inhabitants and habitués include four winners of the Nobel Prize for Literature and nearly every nineteenth and twentieth century Irish writer of note. From Oscar Wilde, Oliver St. John Gogarty, George Moore and George Bernard Shaw to Samuel Beckett, Elizabeth Bowen, Seamus Heaney, James Joyce and Flann O’Brien. And a profusion of artists from Jack B. Yeats to Mainie Jellett and Camille Souter, who painted in the shadow of Francis Bacon’s Baggot Street birthplace. Brendan Behan’s neighbours included Patrick Kavanagh, Frank O’Connor, Liam O’Flaherty and Mary Lavin. John Banville, Maeve Binchy and Colm Toibín were later arrivals. Based on interviews and contemporary accounts – and a timely celebration of Dublin’s designation as a UNESCO City of Literature – “PRODIGALS AND GENIUSES” is an entertaining and enlightening history of a remarkable time and place. With over 300pp and 120 illustrations, PRODIGALS AND GENIUSES costs €19.95 (Stg£18.95). Published by: The Liffey Press; David Givens, The Liffey Press, Ashbrook House, 10 Main Street, Raheny, Dublin 5.